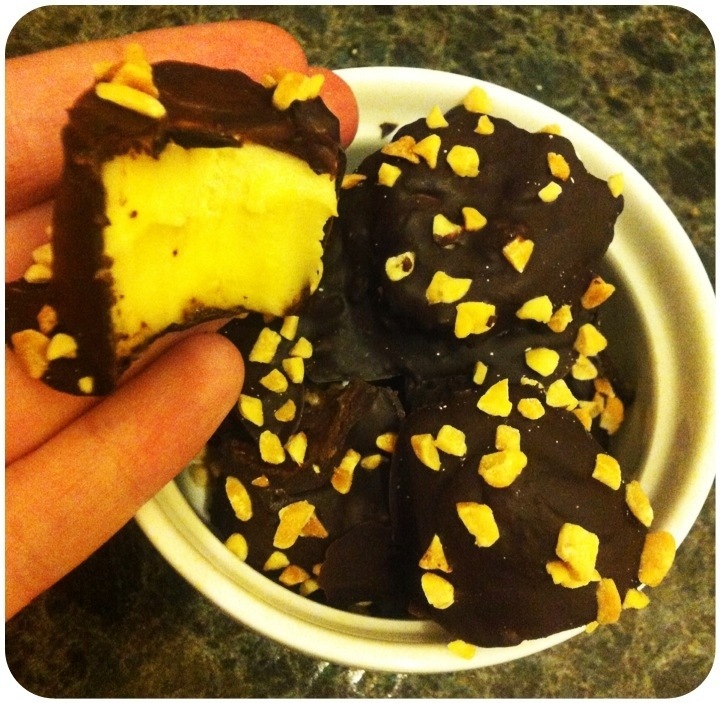 Chop bananas, coat in dark chocolate, sprinkle with chopped nuts and freeze. Tasty, healthy, and freezing the banana makes the texture perfect. MmmMMmmmmm! Tasty, tasty balls. 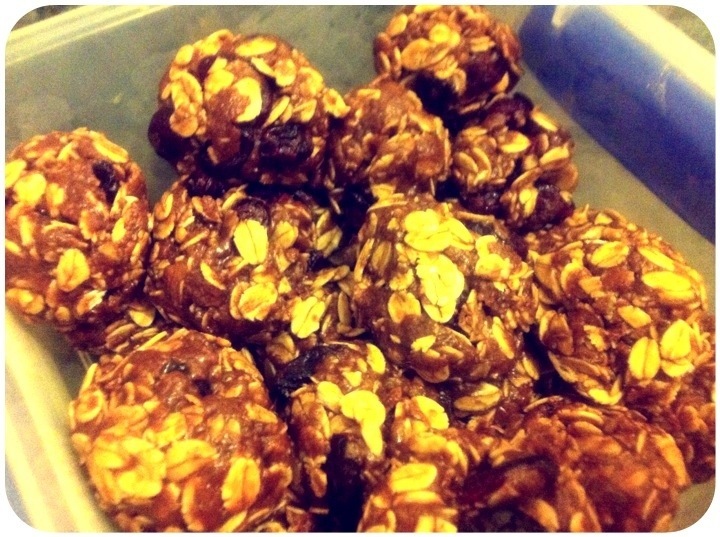 Super quick, chocolatey protein snack balls. These are really easy to make, are super tasty and pack a protein punch. Mix the honey, peanut butter, chocolate chips and almond milk together – zapping in microwave for about 20-30 seconds to melt the chocolate chips (be careful not to burn anything). Add in the rest of the ingredients, mixing to combine. Once combined, with an even spread of ingredients, roll mixture together in balls. Refrigerate to harden before eating. If you’re after something a little more substantial, they make up well as bars, too – just press into a lined slice pan, and cut once it’s had time to harden in the fridge. Just make sure you adjust your calories calculation accordingly. 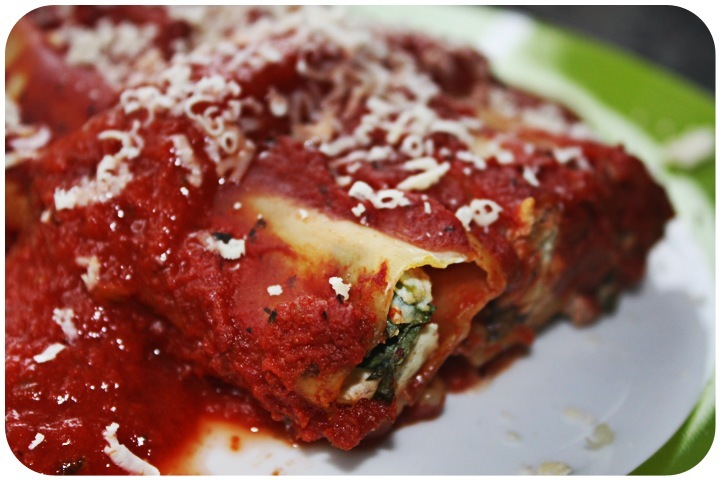 Let’s just stop for a second and savour these five mouthwatering words: ‘chicken and spinach stuffed cannelloni‘. AKA; ‘deliciousness on a plate’. Mouthwatering deliciousness for a quiet Sunday. And here’s a recipe, just for you! Brown the onions and garlic in a non-stick pan, and add chicken mince. Cook until no longer pink then remove from heat. 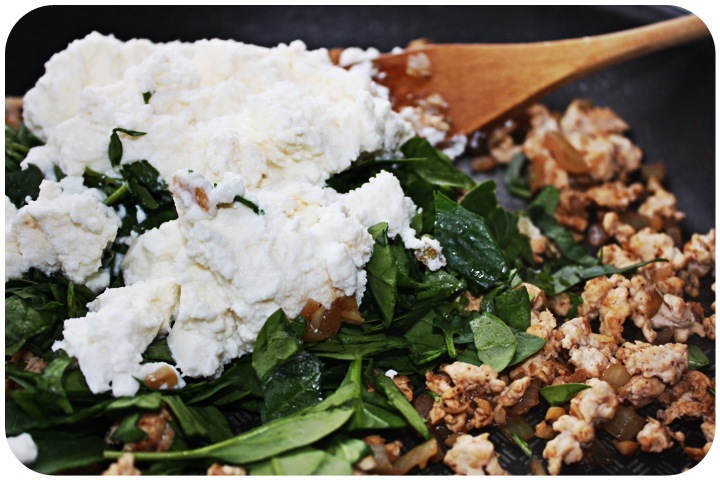 Once pan has cooled slightly, mix through spinach and ricotta. 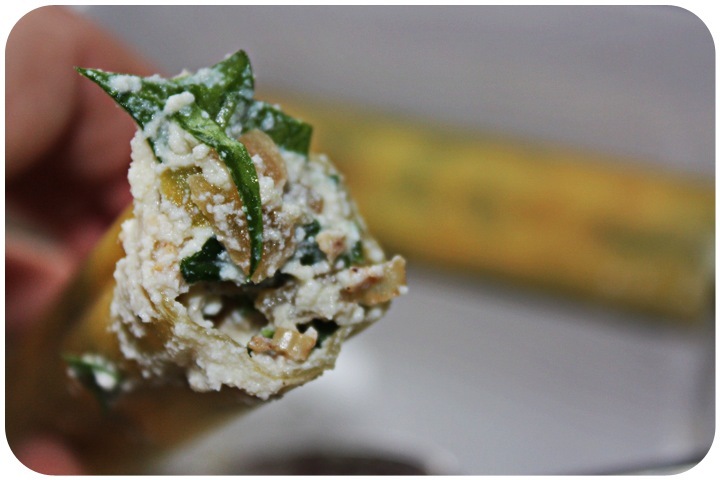 Spoon mixture into cannelloni shells, being careful not to crack the shell. Use fingers, if needed, to ensure shell is ‘stuffed’ right through. 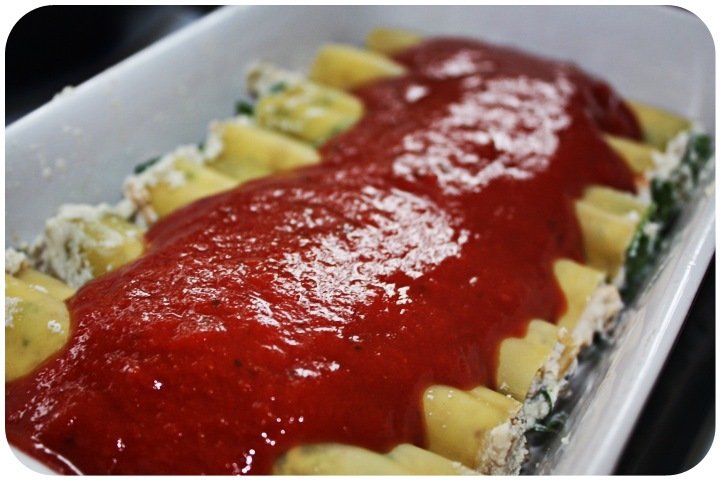 Line up the stuffed shells in a baking tray, and top with chosen pasta sauce. Bake for 20-25 minutes, or until shells are soft and stuffing is pipping hot. Each serving – based on the ingredients I used – has approx. 300 calories. 35g of carbs, 8g of fat, and 23g of protein. What makes Sundays awesome? Sleep ins and brunch. Without a doubt, the two things I look forward to with such burning enthusiasm that sometimes I struggle to fall asleep on Saturdays for all the giddy dancing and weird noises I make from the excitement-driven energy. Energy I lack at any other time during the week. This weekend was no exception – there was sleeping in with great comfort and joy. And there was brunch. Glorious, glorious brunch. Today, however, brunch as homemade. The Tall One (he has a name now!) 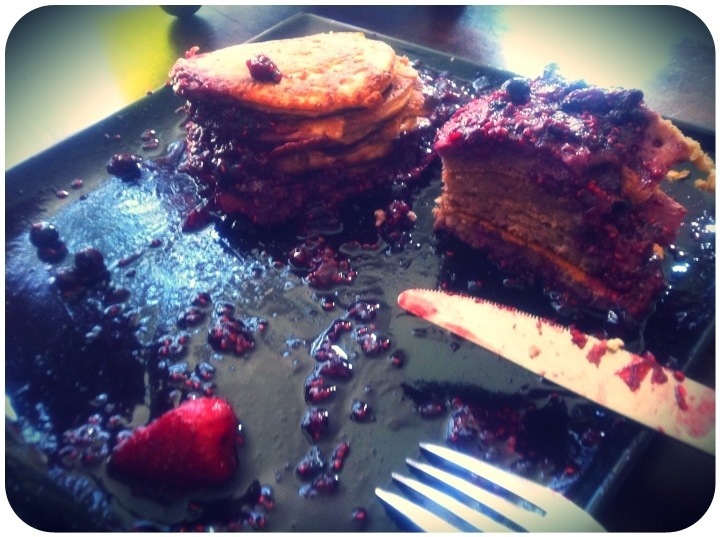 whipped up a giant batch of Protein Pancakes (are you seeing a trend here? 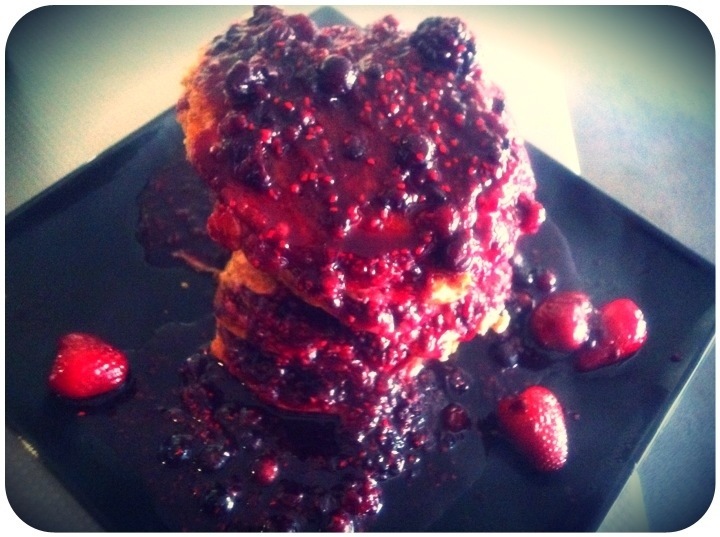 *) using Rocky Road flavoured protein powder, and topped it off with berries of deliciousness. 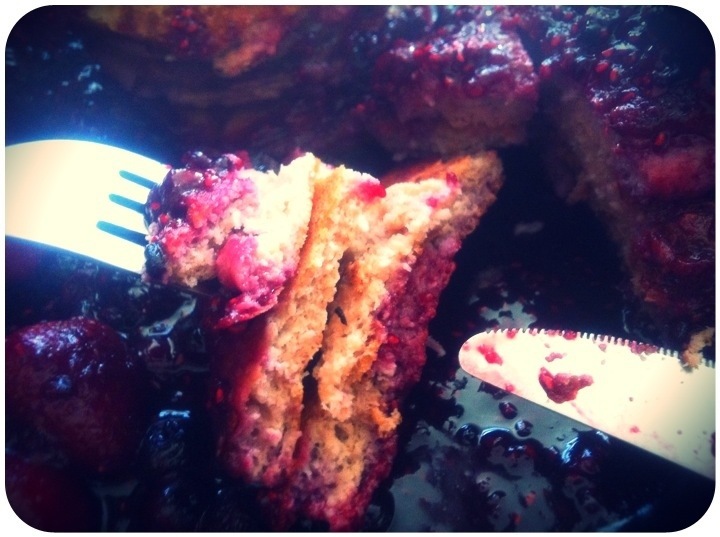 Don’t worry, we’re well aware that the healthy elements of the initial recipe were completely overrun by the quantity we ate, and the sugary berries we smothered them in. So worth it. And, despite splitting it between two of us, we only managed to get through just over half. Leftovers for the win! If you’ve known me beyond this blog for any length of time you will be well aware of how little I use my kitchen. Being young, social and on a decent wage, I tend to eat out a lot for every meal. Or at least, grab something to ‘heat and eat’ from the supermarket on the way home. If I’m feeling particularly lazy (because let’s face it – not cooking is just laziness, there’s not a lot else to it) I’ll even get it delivered. There was one time that I managed to convince a then-boyfriend to taxi through the McDonald’s drive thru on his way back from the airport – more than tripling the fare. Okay, actually, I’m pretty proud of that one. So you can imagine the shock on colleagues’ faces when I turned up to work with enough home-packed food to last me at least two days. There were epic sandwiches. And mini crumble. 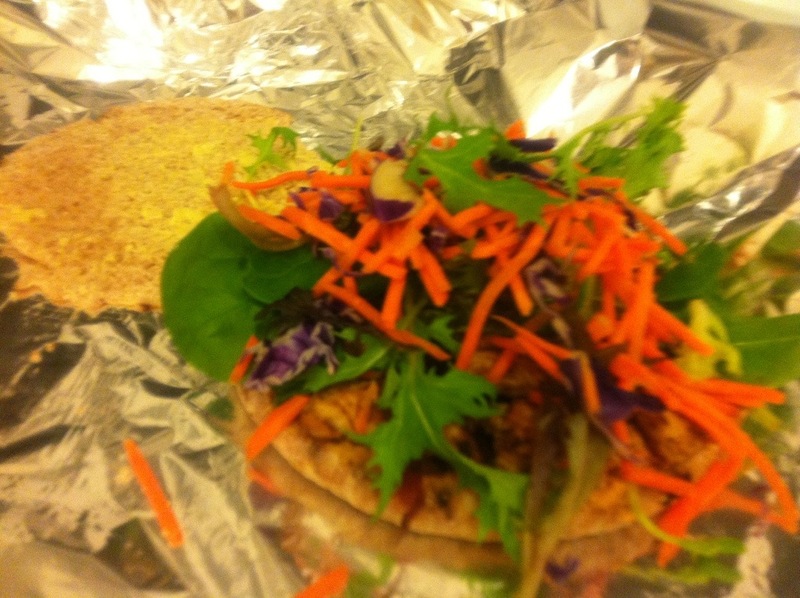 The sandwiches I made were made with wholemeal garlic pitas, freshly cooked chicken, and filled to the brim with crunchy salad goodness. They smelt and tasted amazing. *why must pitas taste so much better? !